Circadian medicine is a relatively new field that focuses on how our bodies change throughout the 24 hour clock. However, before we discuss the inner workings of circadian medicine, we must first understand the basic premise of circadian rhythms. The term circadian, latin for "about one day", is used to describe 24 hr oscillations or rhythms in our behaviour and physiology based on changes in the environment such as light. The main source of control in mammals comes from a region in the brain known as the SCN or the master clock. The SCN sends signals to various other clocks found in organ systems known as the peripheral clocks, and this regulates their function. These changes have important benefits for the health and well being of all mammals. Understanding the circadian system is crucial to developing better therapies that benefit both human and veterinary medicine. 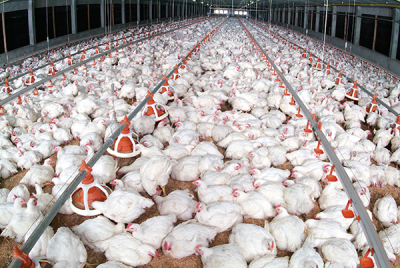 ​ In recent years, there has been a lot of buzz around the poultry industry and how they should be producing our food. But with all the advocacy for better farming practices, few seek to uncover the actual scientific evidence and benefits that come with it. Farming practices? Don’t just wing it, enlighten yourself!